Almost one year ago we talked about how Geoff Keighley’s first Game Awards show was a long-awaited taste of how an annual awards ceremony should go. While there were still a few kinks we’d like to see gone at this year’s show, it was still an impressive leap forward from what the highly-criticized Spike Video Game Awards had become. Instead of odd celebrity appearances and awkward jokes aimed at Spike’s primary demographic, we saw an appropriate honoring of not just games and developers but the industry as a whole. On December 3, Keighley and his crew will hopefully prove that 2014’s show wasn’t a fluke by once again producing a solid and entertaining event. 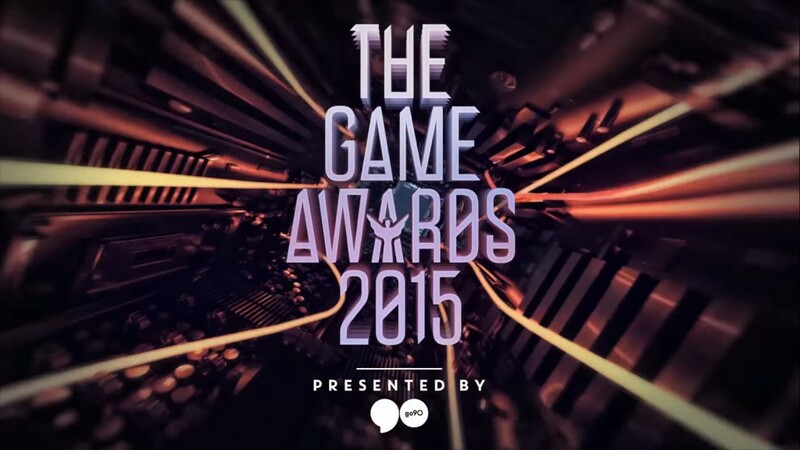 Below are some of things we’re most excited to see at the anticipated Game Awards 2015. After last year’s show, Keighley admitted that he would have liked to give more attention to awards as opposed to world premieres. While it makes sense since it is an awards ceremony, we don’t mind seeing more exciting reveals and info. Last year we got teasers and release dates for a number of titles, including Tacoma, The Banner Saga 2, Codename STEAM, and more. For The Game Awards 2015, Keighley announced via tweet that there would be 10 world premieres along with 10 on-stage awards. While “world premiere” can mean a new trailer for a project we already know is in the works, it’s still exciting nonetheless to see more of our most anticipated games. As with every year, some of the top-selling and arguably best titles happen to fall in the big-budget category. Simply put, worlds like in The Witch 3 and Fallout 4 aren’t feasible with a small team. That’s why we’re excited to see our favorite triple-A titles receive well-deserved awards this year. At the same time, it was very satisfying to see 2014’s show give independent games some attention. Indie titles like Tacoma, No Man’s Sky, and The Banner Saga 2 received plenty of minutes to show us what their small, passionate teams are cooking up for us next. This is a direct contrast to previous game awards shows that focused entirely on the big titles and rarely mentioning the small projects we enjoyed throughout the year. There’s also good variety among the nominees for Best Independent Game. They include Axiom Verge, Her Story, Ori and the Blind Forest, Rocket League, and Undertale. RPG, Metroidvania, platformers, an interactive movie game, and even a soccer/vehicle game are being represented. One of last year’s most memorable moments began with Nintendo’s Reggie Fils-Aimé introducing Imagine Dragons, who played an amazing rendition of classic Zelda tunes. About a minute in, the legendary Koji Kondo joined in by playing “Song of Healing” from Majora’s Mask on piano. Together, they no doubt put a tear in the eyes of everyone who has ever fallen in love with a Zelda game. This year we’ll be getting something different in the form of Scottish electronic band CHVRCHES and progressive-house deadmau5. It’s exciting to wonder how these popular musicians will involve some of video game’s most iconic tunes into their own style. One thing that has been sorely missing in Spike TV’s awards ceremonies was the honoring of our industry’s greatest developers. While we should thank all the artists, designers, programmers and more that help build great games, there are people who have made a bigger impact and deserve recognition for it. The only time Spike did this was with their one and only Video Game Hall of Fame award given to the well-deserved Shigeru Miyamoto in 2011. For whatever reason, the award was tossed out for the new VGX format. We can only hope that what we saw at the Game Awards 2014 wasn’t scrapped as well. The honoring of Sierra On-Line’s Ken and Roberta Williams, the creators of the influential King’s Quest games, was a very touching moment that we’d love to see repeated for other deserving individuals in the gaming industry. The recipients of this year’s Industry Icon Award will be Brett Sperry and Louis Castle. They are the co-founders of the late Westwood Studios, an American video game developer responsible for the highly successful Command & Conquer series. Having put real-time strategy games on the map back in the 90s, everyone who is a fan of the genre owes a deal of thanks to Brett, Louis, and everyone who ever worked at Westwood. No matter what kind of games you like, at least one of your well-received favorites is probably a nominee. That’s because this year’s show boasts 10 categories where all the nominees were selected by a jury of 30 media professionals from nearly a dozen countries. This includes people from Game Informer, Famitsu, GamesRadar, USA Today, LEVELUP, and more. There are also six Fan’s Choice categories: Esports Game of the Year, Best Fan Creation, Trending Gamer, Esports Team of the Year, Esports Player of the Year, and Most Anticipated Game. The nominees were chosen by an advisory panel of eSports sites and media. As with most years, the competition is very hot— especially for the Game of the Year category. With nominees like Bloodborne, Fallout 4, Metal Gear Solid V: The Phantom Pain, Super Mario Maker, and The Witcher 3: Wild Hunt, there’s no telling which of these fantastic titles will take home the award. The Game Awards’ producer and host demonstrated a genuine appreciation for video games by going through the trouble of putting on a big show despite knowing he wouldn’t receive a cent. Instead of using it as a way to boost viewership numbers like Spike no doubt had him do, Keighley and his team simply wanted to give the gaming industry an awards ceremony that they can look forward to each year and be proud of. He also went on to say that “moments like the tribute to Ken and Roberta Williams and the Koji Kondo/Imagine Dragons performance were once in a lifetime experiences.” Even if you dislike him as a host, every gamer should be happy to have someone who at least seems to care about video games as more than a cash-grab.